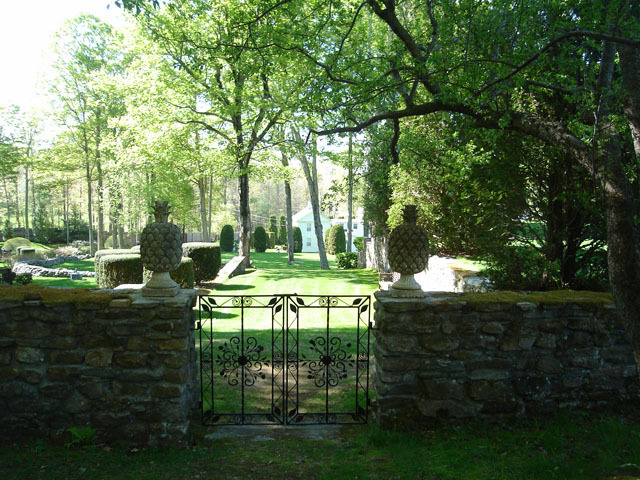 The use of formal stone walls, ornate urns and lush plantings placed in a forest glen gives the Ashintully Gardens an enchanted quality. 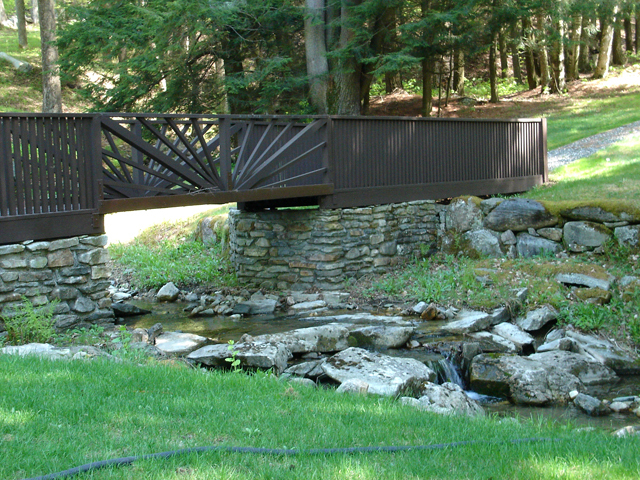 The garden design uses walkways, stone staircases, terraces and foot bridges to incorporate a grassy hillside, rushing stream and wooded dale into the formal garden. 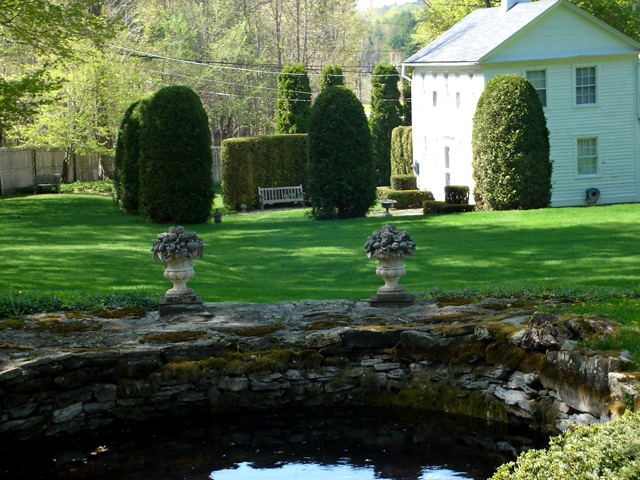 The Ashintully Gardens has received the H. Hollis Hunnewell Medal, established by the Massachusetts Horticultural Society to recognize gardens and country homes beautifully accented by rare ornamental plants. 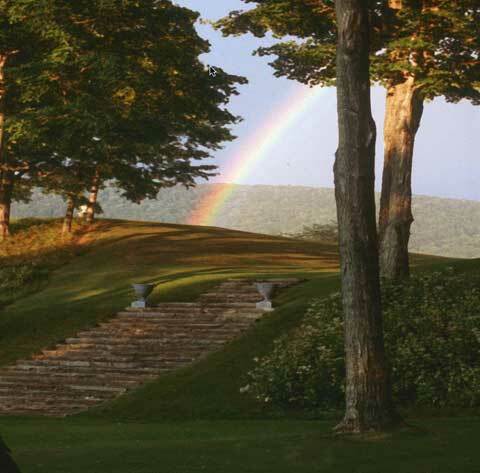 These outstanding gardens were created by John McLennan (Jr.) and his wife Katharine McLennan. 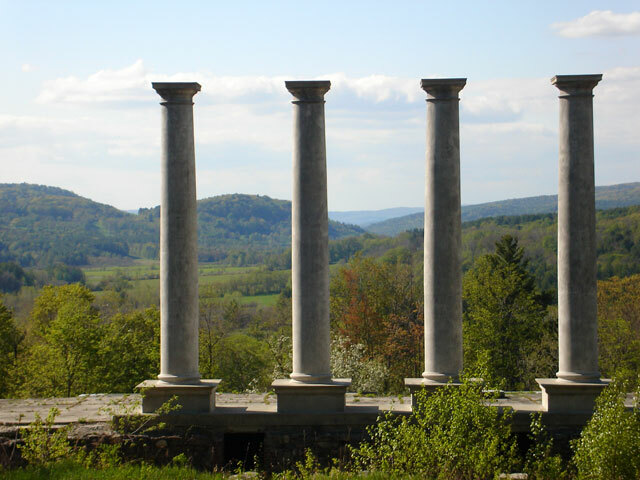 They are part of a larger 1,000 acre estate that Robb de Peyster Tytus assembled by buying three adjoining farms in the early nineteen hundreds. 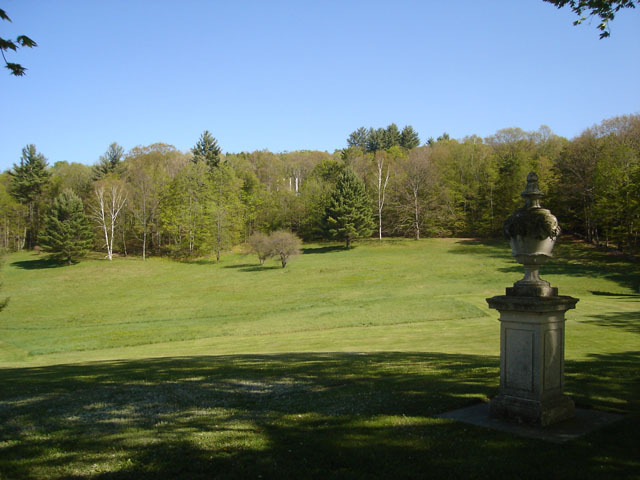 High on a hill overlooking his estate and the Tyringham Valley, Robb de Peyster Tytus built a Georgian style mansion in 1912. The mansion became known as the Marble Palace. 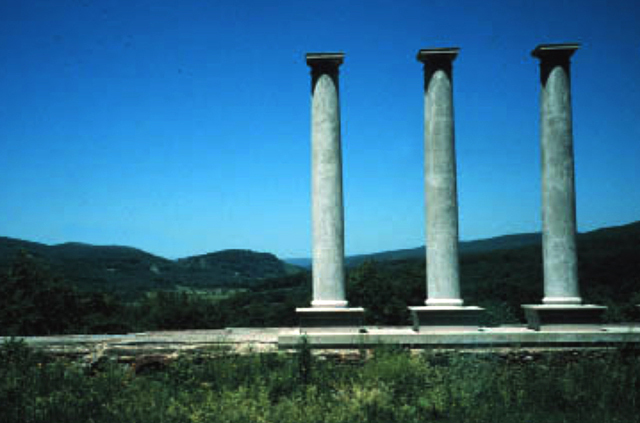 In 1952 a fire ravaged the Marble Palace, leaving only four doric columns, the front terrace and massive foundation. 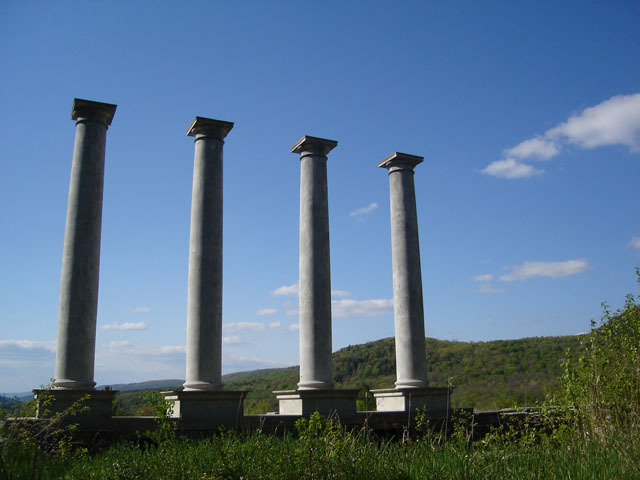 Today, the ruins can be hiked to from the Ashintully Gardens. 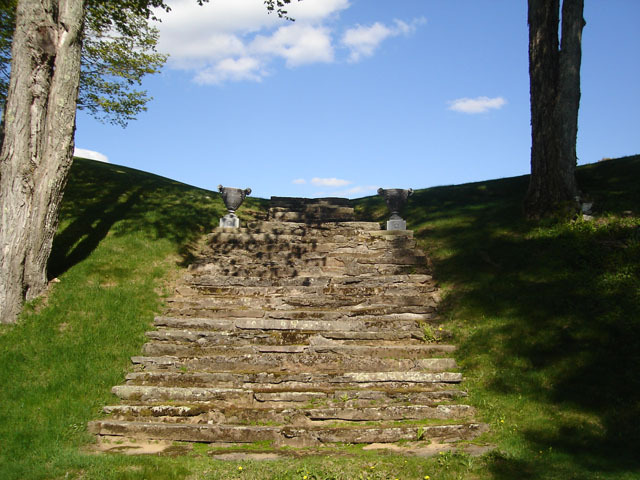 In 1937 John McLennan Jr. inherited the Ashintully estate, which included the farmhouse at the bottom of the hill where he lived for the rest of his life. 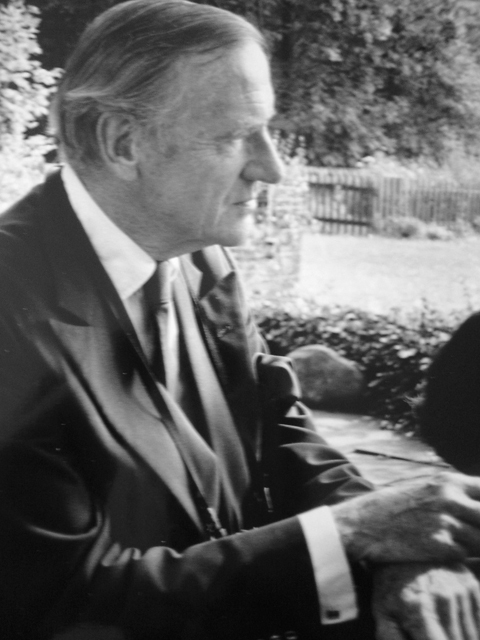 John was an accomplished composer of contemporary classical music and worked in a renovated barn next to the farmhouse. Later in his life he won an American Academy of Arts and Letters music award. 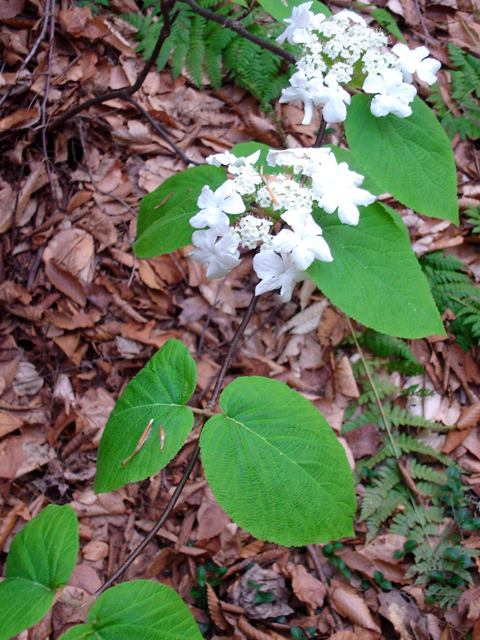 In 1966 John and Katherine married and began creating the gardens. 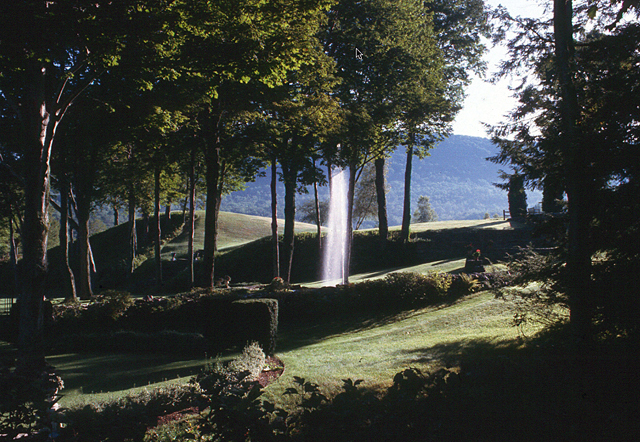 The gardens are the result of thirty years of their work. John fell ill in 1996 but Katherine McLennan still lives on the property and opens the gardens to the public two days a week. 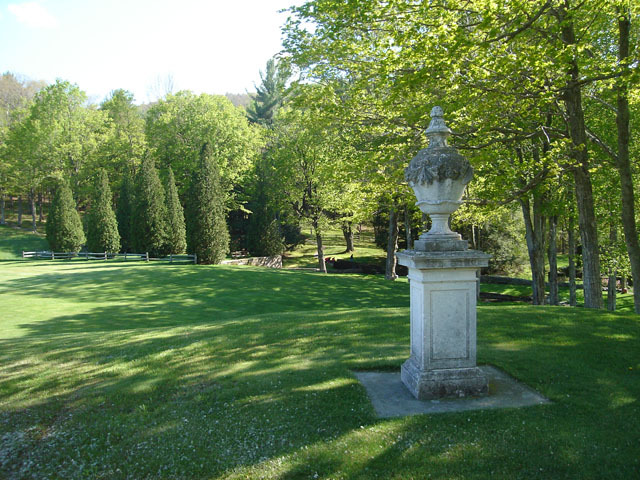 John McLennan Jr. began donating sections of the Ashintully estate to The Trustees of Reservations in 1977. 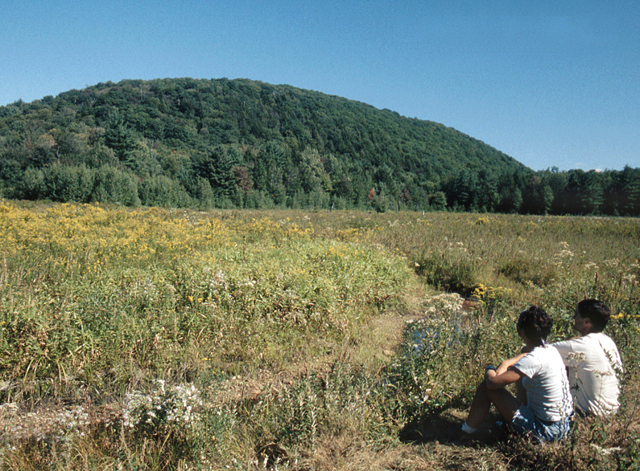 In 1977 he donated 446 acres of the estate in Otis and Tyringham to establish the McLennan Reservation. 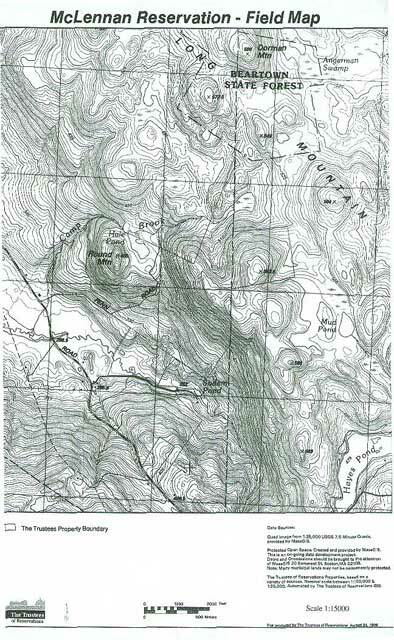 The reservation was expanded in 1978, 1991 and 1995 by a total of 148 acres, bringing the McLennan Reservation to 594 acres. 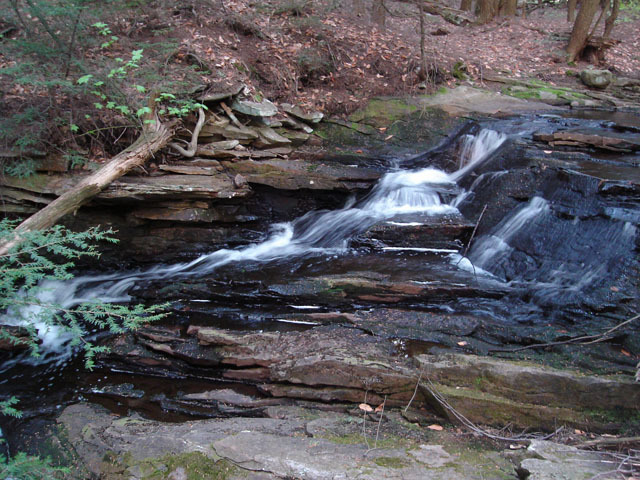 The McLennan Reservation is located in the southeastern end of Tyringham Valley, Massachusetts. 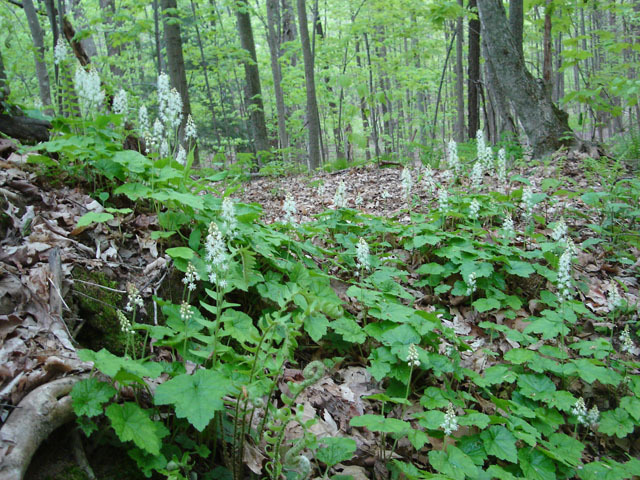 The area is heavily forested although much of it was cleared for farming prior to the 1900’s. 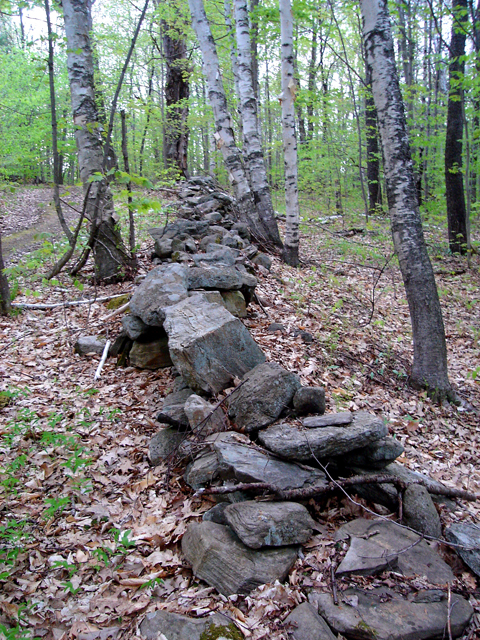 There are remnants of the stonewalls from the old farms crisscrossing the reserve and hiking trails. 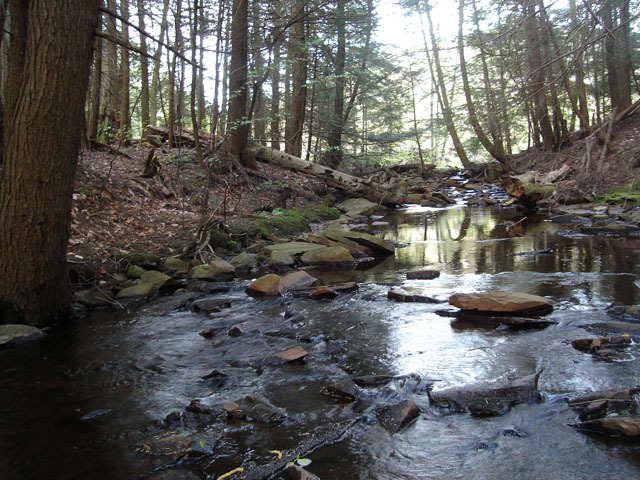 The forested hillsides and Hale Swamp are part of the Camp Brook watershed that is now protected by the reserve. 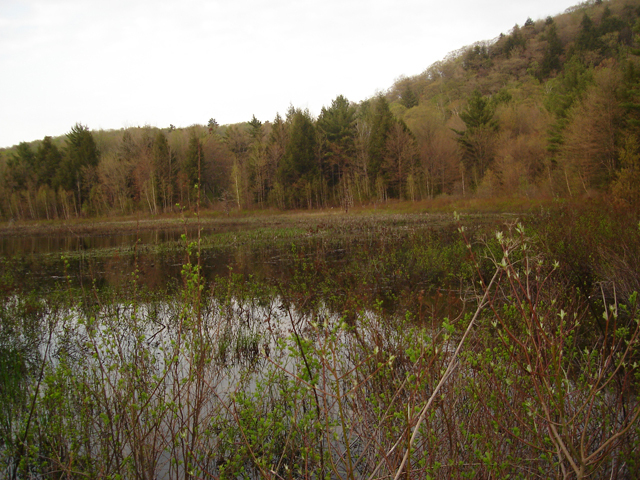 The woodlands and swamp provide habitat for eastern coyote, bobcats, porcupine, white-tail deer, wild turkey, ruffed grouse, beaver, and a variety of song birds. 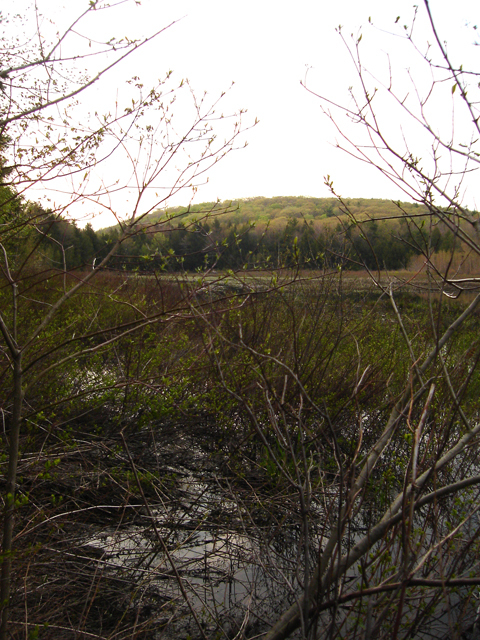 Black bear have also been observed on the reservation. 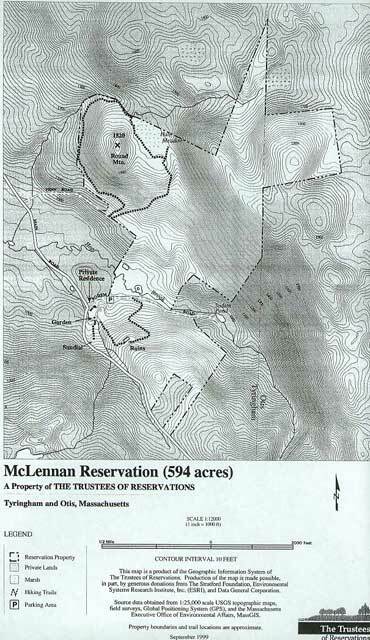 The Trustees of Reservations manage the McLennan Reservation for historic, scenic, conservation and low-impact recreation purposes. 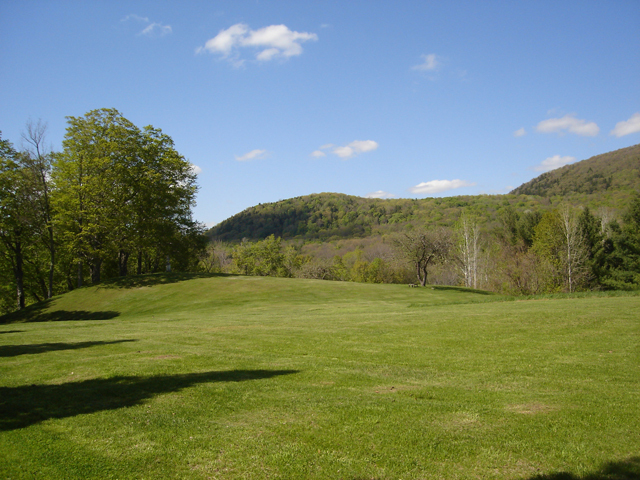 In 1996 John McLennan Jr. donated an additional 120 acres (across the street from the McLennan Reservation) to the Trustees. 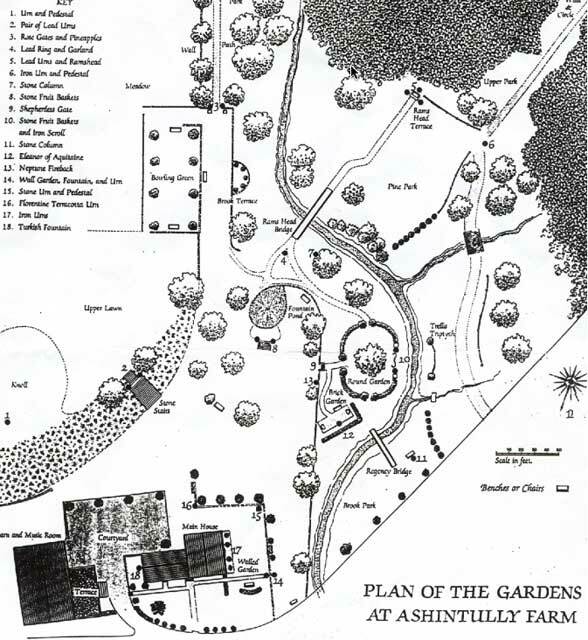 The land, including the Marble Palace ruins, the farmhouse and Ashintully Gardens, was donated with a reserved life estate for Katharine McLennan. The life estate was on 18 acres and reserved the use of the house and gardens for Katherine until her death. After her death the title will be turned over to the Trustees. 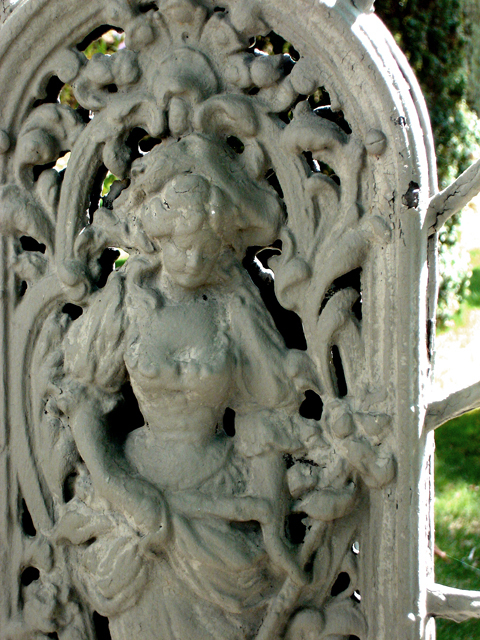 The Trustees have agreed to maintain the house and gardens and open them to the public. Donating a remainder interest with a reserved life estate allows someone to donate land during their lifetime and maintain the right for a specified person or persons to live in the house or use a portion of the property. The portion the conservation organization receives is called the “remainder interest” and the portion the donor retains the rights to is called the “life estate or life interest”. The remainder interest can be assigned to more than one person, for a lifetime or a shorter amount of time. 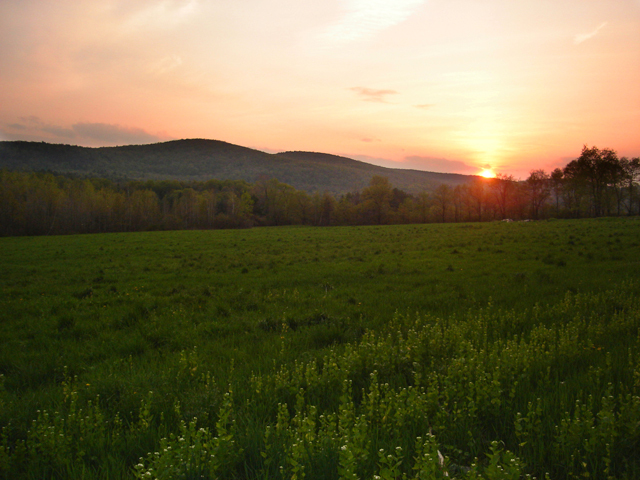 If the case of a remainder interest includes a personal residence or farm and the surrounding land, the donor can receive an income tax deduction the year the remainder interest is donated. This is not true in the case of commercial or investment property. To maximize tax advantages the donor can first donate a conservation restriction to a conservation organization or municipality and then donate a remainder interest to another organization. 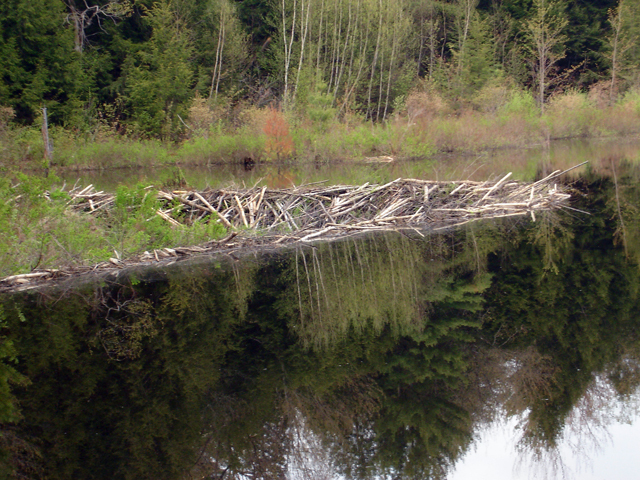 The donor then qualifies for two tax deductions; one on the conservation restriction and one on the remainder interest. This technique ensures the permanent protection of the land and maximizes tax benefits, while maintaining the use of a portion of the property. The possible difficulties of donating a remainder interest are the coordination of property maintenance and management ideas between the conservation organization and the heirs to the life estate. 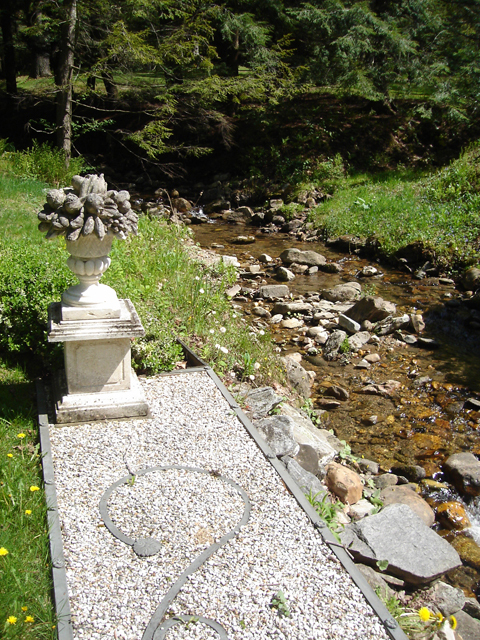 In the case of the Ashintully Gardens the donation of the property and the management of the life estate was very straight forward. 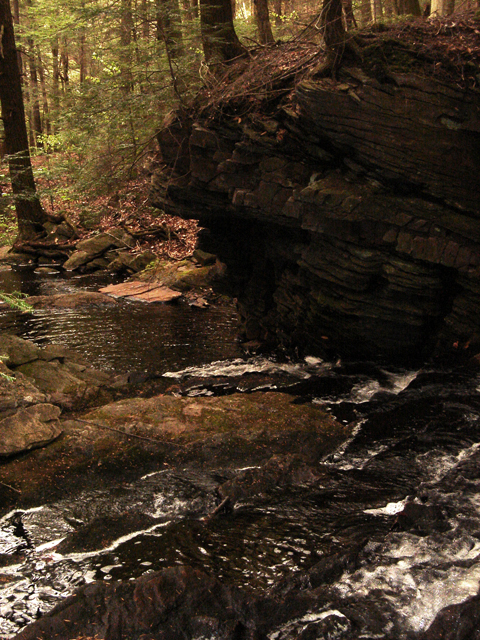 Land protection doesn’t need to be complicated. 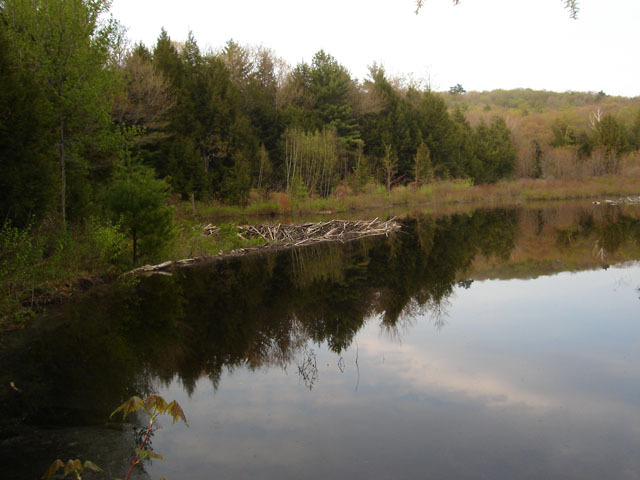 One can donate his or her land to a conservation organization and still live on the property. 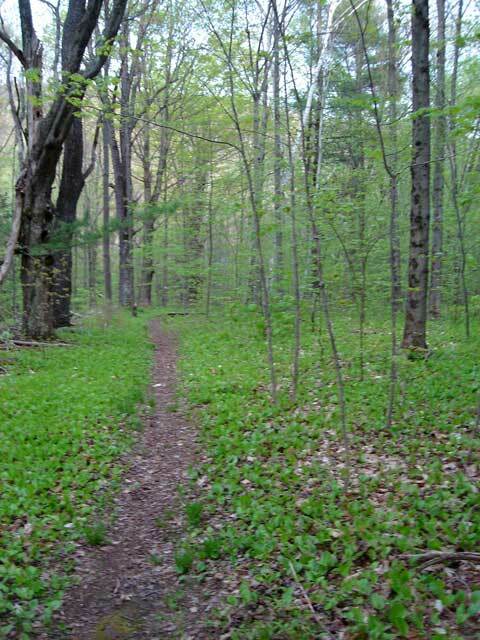 Clearly delineating which expenses and responsibilities fall to the donor and which to the conservation organization makes the management of the life estate straight forward. 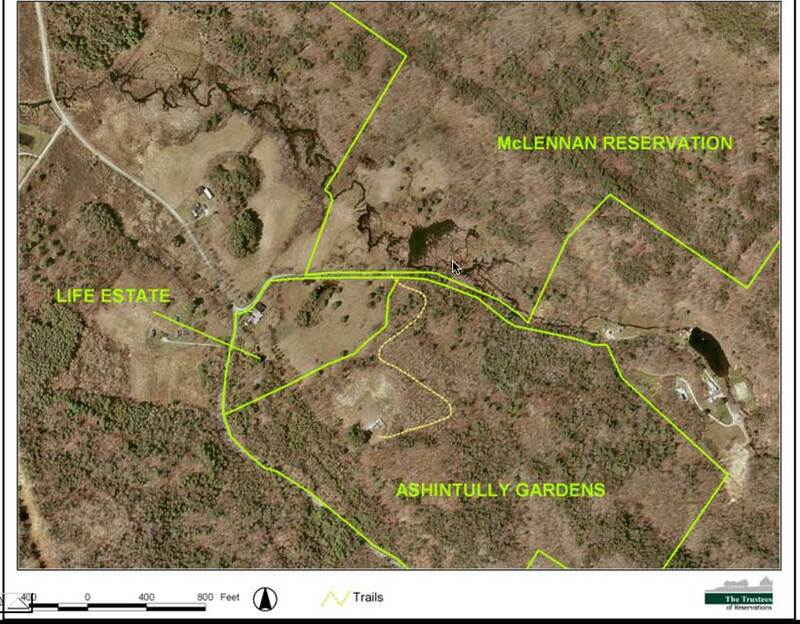 A total of 148 more acres are donated, bringing the size of the McLennan Reservation to 594 acres. 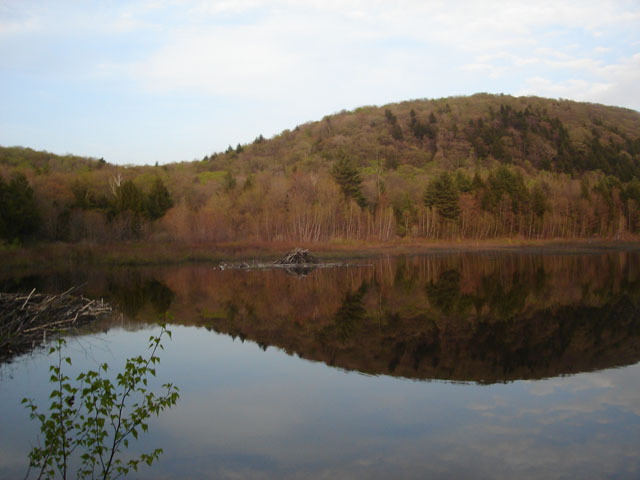 John McLennan donated 120 acres, with a life estate reserved for Katharine McLennan on 18 acres. 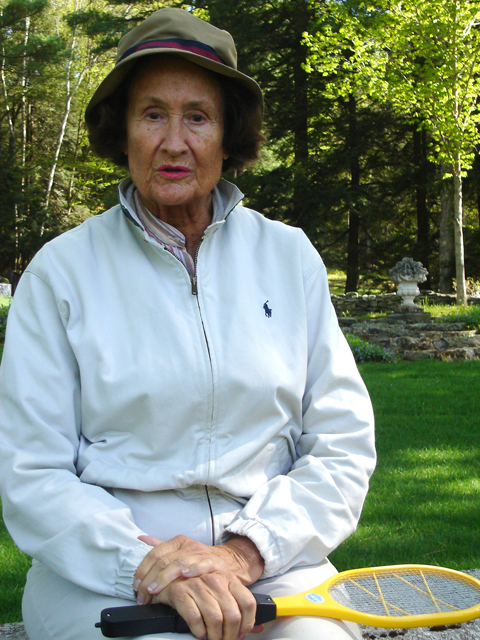 Katharine McLennan releases 12 acres and maintains her life estate on 6 acres which includes the farmhouse and Ashintully Gardens.